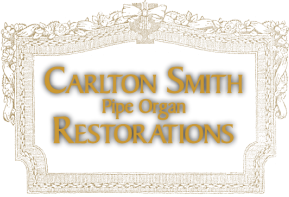 Complete restoration of all manufacturers of theatre pipe organs. Acquisition of replacement theatre pipe organs and installation for historic theatres and auditoriums. Rebuilding for individuals or other companies all components of any manufacturer of theatre pipe organs, including: consoles, manual / offset chests, regulators, tuned percussion, traps, shutters and relays. New electronic relay switching system installations on existing instruments. Art Case Consoles- Historic restoration and recreation of finishes and ornamentation. Tuning and repair of all manufacturers of theatre pipe organs. Consulting for new theatre pipe organ installations. Voicing and regulation of existing theatre pipe organs ​with tonal consultant J. Clark Wilson.